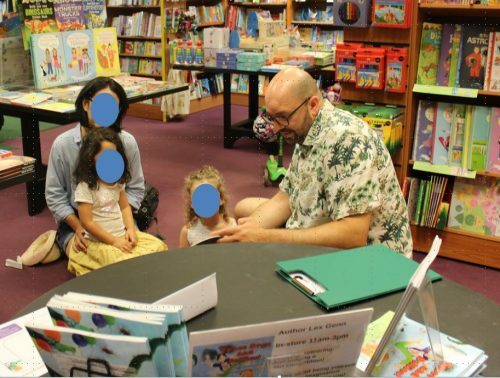 children's book signing, for Space Bugs and Selfies! an empowering book for 5-10 year olds about loving your imagination and not giving in to peer pressure. With drawing competition! | Space Bugs and Selfies! What a fantastic day at Chesham Waterstones. I got there at 11 and stayed till 3pm. To be honest, with the World Cup still rolling on and the sun beating down I wasn’t sure we’d get many people showing up. How lovely to be so wrong! It was such a treat talking to so many parents about Space Bugs and Selfies!, hearing who they feel about the messaging they see children’s books. Clearly I’m not the only parent worried about what I’m reading to my little one. But, and this was always going to be the case, the best parts of the day were reading to the kids, seeing them laugh and then seeing their drawings. Wow! There are some great imaginations in Chesham – we had a farting mermaid-lion hybrid, a swimming competition, a ‘crazy’ dragon, a time-travelling bus that picks up famous people though history and a knight who fights swords with farts – and much more. All so brilliant. I’ll be posting them up here and announcing winners of the coveted colour sets over the next couple of weeks!